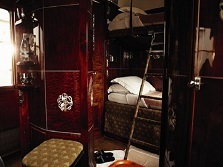 Aboard the Venice Simplon-Orient-Express, the journey is as enchanting as the destination. Savour sublime cuisine in one of the three restaurant cars, be romanced by the sound of the pianist in the Bar Car, and then retire to your inviting vintage cabin. You awake to the magnificent scenery of the Swiss Alps as breakfast is served in your cabin at a time to suit you. 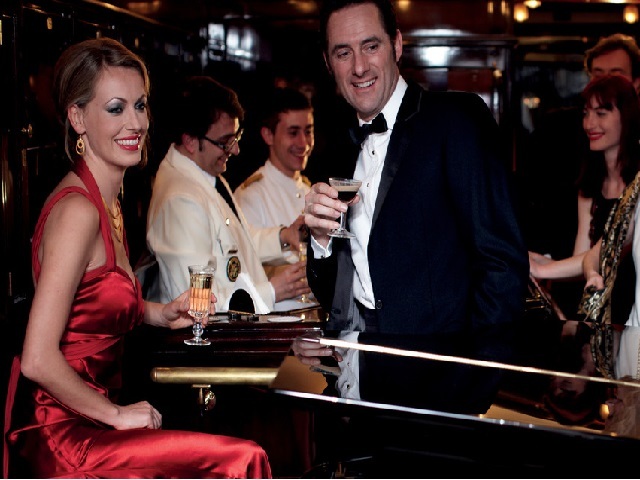 Spend the morning relaxing in your cabin or in the Bar Car chatting to fellow guests. Enjoy a leisurely three-course lunch which is served in another one of the beautiful restaurant cars. While away the afternoon admiring the passing scenery. Later, afternoon tea is served in your cabin. All too soon it is time to prepare to disembark as the train crosses the Venetian Lagoon and pulls into Santa Lucia station. You will be transferred in private service to your hotel for a two night stay. 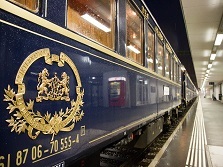 Check out of hotel and enjoy private transfer service to Venice Santa Lucia station After two glorious days in Venice where you will board the Venice Simplon-Orient-Express. Your steward will show you to your private cabin and will attend you throughout your journey. After you have settled in it will soon be time to enjoy a three-course lunch in one of the restaurant cars. Spend the afternoon relaxing in the comfort of your cabin gazing at the beautiful passing scenery. Afternoon tea is served in your cabin. A leisurely four-course dinner is served, prepared on board by our skilled French chefs. After dinner retire to your cabin which has now been transformed into a cosy bedroom. Breakfast is served in your cabin by your steward at a time to suit you. The train pulls into Paris Gare de l’Est and halts for 40 minutes, take this opportunity to stretch your legs along the platform. A delicious brunch is served in the restaurant cars as you travel on towards the French coast for the Channel crossing. Join the Belmond British Pullman for the journey to London. 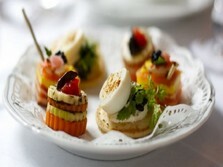 A traditional afternoon tea accompanied by a glass of Champagne is served, before arriving at London Victoria station.